Was there ever a more unlikely Most Valuable Player than Jim Konstanty? Before you say “Zolio Versalles,” read on. Casimir James Konstanty, born March 2, 1917, didn’t even pitch in his first big league game until he was 27 years old. He did this after going 4-19 in 1941 for Springfield, Mass., of the Eastern League and struggling with the Syracuse Chiefs, a Cincinnati Reds farm club. The Reds shipped the right-hander to the Boston Braves in 1946. Boston sent Konstanty to the Philadelphia Phillies two years later. Would Philly be his last stop? Would the Phillies show some confidence in this bespectacled journeyman? Konstanty’s baseball resume was full of holes. Going into his age-32 season (1949), the pride of Strykerville, N.Y., west of Buffalo, had compiled a 7-5 won-loss record and logged less than 150 innings. Konstanty majored in physical education at Syracuse University. Maybe a high school team in upstate New York needed a coach. The Phillies hired Eddie Sawyer to manage their club on July 26, 1948. Konstanty found a believer, finally. Sawyer, who had a master’s degree in biology from Cornell University, said he always liked Konstanty. Not only that, Sawyer said. He gets better as he tires out. His pitches break more sharply as he goes along. After giving up just one earned run in 9.2 innings of work in September of ’48, Konstanty enjoyed a strong follow-up campaign. He appeared in 53 games, all in relief, and finished 27. Over 97 innings, Konstanty posted a 3.25 ERA with a 9-5 won-loss record. The Phillies were putting together something special. Following decades of sour play (above .500 just one year from 1918 through 1948), Philly finished 81-73 and in third place in ’49. The Whiz Kids had nearly arrived. Richie Ashburn, Del Ennis, “Granny” Hammer, Willie Jones and Andy Seminick led a talented, young group of players. Konstanty tossed a nasty slider and a wicked palmball. He pitched in nearly half of Philadelphia’s games in 1950 and enjoyed a streak of 22 1/3 innings of scoreless baseball at one point. The young Phillies (average age 26.4 years) beat out the Brooklyn Dodgers for the National League pennant, the team’s first since 1915. 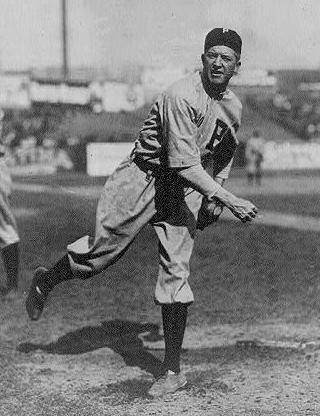 Konstanty pitched in 74 games (finishing 62) and 152 innings. He ended up 16-7 with a 2.66 ERA and 22 saves (not yet an official stat). Philadelphia met the New York Yankees in the World Series. Sawyer named Konstanty his team’s Game 1 starter. Ace Robin Roberts to close out the season. The Phillies needed him to close out the season. Konstanty lost. But, he pitched quite well. Over eight innings, he gave up four hits and one run. Vic Raschi, though, tossed a two-hit shutout, and the Yanks won 1-0. Konstanty pitched a scoreless third of an inning in Game 3 and gave up three runs in 6.2 innings of relief work in Game 4. New York won 5-2 and swept the Series. A few weeks later, Konstanty was awarded the MVP award. He beat out, among others, the St. Louis Cardinals’ Stan Musial (second in the voting), the New York Giants’ Eddie Stanky (third) and Ennis (fourth). Konstanty never enjoyed a year anywhere near as good as that 1950 campaign. He dropped to 4-11 in 1951 (4.05 ERA) and went 5-3 in ’52 (3.94). The reliever started 19 games in 1953 and went 14-10 but was saddled with a 4.43 ERA. He retired in 1956, a Cardinal at that point. He was 39 and had a 66-48 record and 3.46 ERA (112 ERA+). Following his playing career, Konstanty ran a sporting goods store in Oneonta, N.Y. He did some minor league coaching for St. Louis and served as athletics director of New York’s Hartwick College from 1968 to 1972. A member of the National Polish-American Sports Hall of Fame, Konstanty died June 11, 1976, at the age of 59. The hubbub was about $65,000. Steve Carlton, a 27-year-old, 6-foot-4-inch lefty with a nasty slider, asked the St. Louis Cardinals for that amount following the 1971 season. The Cardinals said “No.” Carlton, coming off a 20-win season, held out. That was Carlton’s second contract squabble as a Redbird. He reported late for spring training in 1970 following a big year in ’69. He went 17-11 that season with a 2.17 ERA (second lowest in the National League) and 210 strikeouts. Lefty wanted $50,000 in 1970 (He made $26,000 in 1969). The Cardinals offered Carlton a more modest pay increase, to $31,000. The pitcher, maybe miffed about the whole affair, proceeded to go 10-19 and put up a 3.73 ERA. Each side probably had a sour taste in the mouth during Squabble II. On Feb. 25, 1972, St. Louis unloaded Carlton, under the order of team owner Gussie Busch, to the Philadelphia Phillies for Rick Wise. At that point, Carlton, going into his age-27 season, had 77 career wins. Wise, entering his age-26 campaign, had 75 career wins. It seemed like a fairly even deal. But, it wasn’t. Wise put together a pretty good career. The right-hander from Jackson, Mich., pitched two seasons in St. Louis before moving on to the Boston Red Sox. He won a career-high 19 games in 1975, the year Boston celebrated an American League pennant. Following four seasons with the Red Sox, Wise left for the Cleveland Indians. He ended his career in 1982 as a San Diego Padre. Wise retired with a 188-181 lifetime won-loss record in 18 seasons. Carlton, though, did even better. His first season in Philadelphia was his best. The Phillies were terrible that year. Some teams limp into September. The Phillies limped into May. They finished the year 59-97, dead last in the N.L. East. Lefty went 27-10. So, without Carlton, the team was 32-87. The Miami native posted a league-low 1.97 ERA and a league-high 310 strikeouts. He also topped the N.L. in innings pitched (346.1), complete games (30) and ERA+ (182). Not only did he win the Cy Young award, he finished fifth in the MVP voting. Before retiring early in the 1988 season, Carlton won four Cy Young awards and at least 20 games six times. He topped the senior circuit in innings pitched and strikeouts five times each. He remains the last N.L. pitcher to win 25 games (1972) and the last pitcher from either league to pitch at least 300 innings (1980). He retired with a 329-244 record in 24 seasons. Carlton went into the Hall of Fame on the first ballot in 1994, He received 95.6 percent of the vote. Cardinals fans still think back at Carlton’s departure and cringe. The hubbub was about $65,000. George “Tuck” Stainback wasn’t blessed with the most musical surname. Nor did he enjoy the most accomplished career as a Major League baseball player. Over 13 seasons, from 1934 through 1946, Stainback put on the uniform of seven different teams. He didn’t star for any of them. In fact, he retired with just a .259 career batting average and hit only 17 home runs. Stainback went to bat 359 at-bats as a 22-year-old rookie for the Chicago Cubs. That was his career-high mark in the big leagues. Even so, the right-handed batter made his mark, both on the field and off it, even if he did not possess the most powerful bat, the fastest feet or the strongest throwing arm. Stainback, born in Los Angeles on this date in 1911, attended Fairfax High School, near Hollywood. He broke into pro ball in 1931 with the Bisbee, Ariz., Bees. From there, he played two years with the hometown Angels of the Pacific Coast League and signed with the Cubs. The rookie outfielder batted .306 in 1934 with Chicago, the second-highest mark of his career. (He hit .327 in just 104 at-bats for the Brooklyn Dodgers.) Stainback lasted four seasons in Chicago and then went to the St. Louis Cardinals. He got into just six games in St. Louis being released. The Philadelphia Phillies picked him up on waivers. Midway through the year, Philadelphia sent Stainback to Brooklyn. As a Cub, Tuck led a bench-jockeying episode against umpire George Moriarty. The name calling so infuriated Moriarty that he cleared the Chicago bench. That Stainback trade to the Cardinals also involved a pretty good pitcher, Dizzy Dean. On April 16, 1938, St. Louis sent future Hall of Famer Dean to Chicago for $185,000, plus hurlers Curt Davis and Clyde Shoun as well as Stainback. The Phillies selected Stainback off waivers on May 28, 1938. Soon after, he single-handedly kept the great Carl Hubbell from tossing a perfect game. He drew a walk and hit a single, the only Phillies player to get on base. 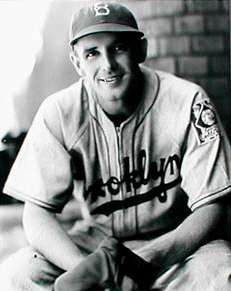 Stainback played in two World Series, in 1942 and ’43 with the Yankees. He earned a ring in that second Series. While the Great Depression was on, Stainback, along with Yankee shortstop Frank Crosetti, helped put together the Majors’ first pension fund. The two solicited donations of $250 from each player as a way to start the fund and assist ballplayers down on their luck. Stainback settled in the L.A. area after retiring. When the Dodgers left Brooklyn for southern California, he asked Dodgers executive Red Patterson for a job. Over the next few decades, Stainback worked in group sales for the Dodges and also ran the team’s Knothole program, providing free tickets for boys and girls. Stainback died in 1992 at the age of 81. Recognize him? He is the answer to question No. 5. The Philadelphia Phillies began play in 1883 at long-gone Recreation Park. The team took nearly 100 years to bring home a World Series, finally winning it all in 1980. Philadelphia’s 2008 club also won the Series. The Phillies also have spent many seasons in the cellar or close to it. Fans grumbled through harsh decades in the 1920s, ’30s and more. Despite several runs of losing seasons, though, the Phillies have had many great players in their franchise history. Do you know “Which Phillie” is the answer to the questions below? Good luck! Which Phillies outfielder stole at least 100 bases in a season three times for the Phillies? Hint: His modern-day namesake also likes to run. Which Phillies pitcher led the league in wins and strikeouts in five of his seven full seasons with the team? Which Phillies slugger hit 24 home runs in 1915 to set what was then a modern-day record? Which Phillies outfielder led the N.L. in home runs twice, batting average twice and RBI three times? Which Phillies Hall of Famer drove in 1,305 runs during a career that lasted just 1,410 games? Which Phillies pitcher won at least 20 games in six straight seasons, 1950-55? Which beloved Phillies player once hit a foul ball into the stands that struck a fan and then hit another ball that struck the same fan while she was being carried off in a stretcher? Which Phillies pitcher later served two terms as a U.S. senator from Kentucky? Which Phillies reliever recorded the final six outs to end the 1980 World Series? Which Philadelphia Phillies great won the National League MVP in 1980, 1981 and 1987? “Sliding” Billy Hamilton. The speedster from Newark, N.J., the son of Irish immigrants, broke in with the Kansas City Cowboys of the American Association in 1888 and stole 111 bases. Sold to the Phillies in 1890, Hamilton led the league in steals five times and stole 912, 914 or 937 bases during his Hall of Fame career, depending on your source. The current Billy Hamilton in baseball, with the Cincinnati Reds, also is a frequent threat to go. 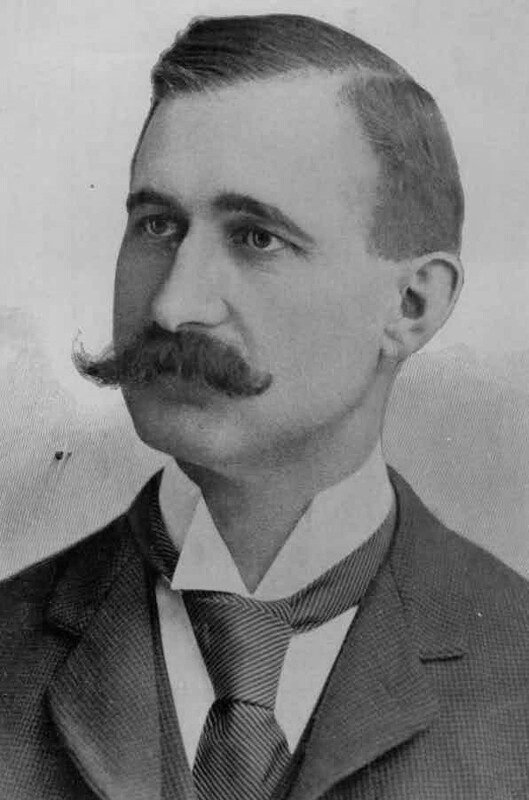 Grover Cleveland “Pete” Alexander. Named in honor of the former president, of course, Alexander went by “Pete” most of the time. He broke in with the Phillies by winning 28 games in 1911 and collected 190 of his 373 career wins in Philadelphia. He won at least 30 games three times. His top strikeout total was 241 in 1915. “Cactus” Gavvy Cravath. Born in Poway, Calif., in 1881 (or nearby Escondido, depending on the source), Cravath supposedly was the first major leaguer to hail from the San Diego area. He led the league in homers six times, the first player to do so. Ed “Big Ed” Delahanty. Out of Cleveland, Ohio, the right-handed batter hit .400 three times and .346 lifetime. The Hall of Famer collected 2,596 in his career, spent mostly with the Phillies. Robin Roberts. The right-handed workhorse put together a series of big years for the Phillies. He logged lots of innings (six seasons of 300-plus innings and 97.1 in another) and won lots of game, including 28 in 1952. From 1951-54, he finished with WARs of 8.0, 8.3, 9.8 and 9.0, respectively. A Hall of Famer, he won 286 games in a 19-year career. Richie Ashburn. The centerfield only hit 29 home runs in his 15-year career. Even so, he collected 63.4 WAR points, in part due to his solid defense, in part due to his .396 on-base percentage (.308 batting average). And, yes, on Aug. 17, 1957, Ashburn konked Alice Roth twice with a batted ball. And, supposedly, they later became friends. Jim Bunning. The 6-foot-3-inch right-hander came up with the Tigers in 1955. He made five All-Star teams while in Detroit and was traded to Philadelphia before the 1964 season. Bunning was 32 years ago, but he wasn’t done. He made two more All-Star teams and probably should have been the N.L. Cy Young Award winner in 1966. 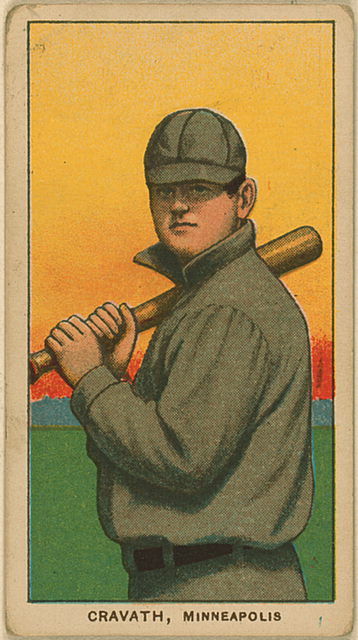 Bunning won 20 games just once in his career, but the Hall of Famer won four times. A Kentucky congressman from 1987-99, the Republican went from there to the Senate. Frank “Tug” McGraw. The quirky relief pitcher from northern California appeared in 824 games in his career, only 39 as a starter. He split his career with the New York Mets and the Phillies. He pitched for the Miracle Mets of 1969, the “You Gotta Believe Mets” of 1973 and the first-ever World Series-winning Phillies squad. Mike Schmidt. Maybe the greatest third baseman of all-time and the greatest Phillie, Schmidt belted 548 home runs in his career. The first-ballot Hall of Famer led the NL in dingers eight times. He hit a career-high 48 in 1980. He compiled 106.5 WAR points in 19 seasons, 12 as an All-Star. Schmidt also won 10 Gold Gloves. “Gavvy” Cravath led the N.L. in home runs six times as one of the Deadball era’s top sluggers. This was a time when southern California was a wild, still largely rural, place. Jackrabbits and coyotes ran through foothills, free from unknown suburbia. Million-dollar homes and twisting roads were still to come. Families arrived—dusty–by wagon, later by train, after traveling past mountain passes and through scorching deserts, across some of the hottest, driest country on Earth. It was a dangerous, sometimes deadly, trip to the sea. Cravath grew up in just this sort of southern California, born on this date in 1881 in Escondido (Some sources say he was born in nearby Poway. ), outside San Diego. Cliff’s dad served as Escondido’s first mayor. Later, he left that job to become San Diego County Sheriff. Cliff, meanwhile, made his name as one of the county’s top athletes. In 1898, he competed on the losing side of the Escondido High School vs. San Diego High School football match-up, the first gridiron prep game ever played in San Diego County. During the spring, Cliff caught for Escondido High’s baseball team. Following graduation, Cliff went from job to job, from ballfield to ballfield. The young man swung hard. He aimed for the fences at a time when most players simply wanted to place the ball. Home runs were thought of as showy, not very gentlemanly. Maybe Clifford Cravath, playing on the far-flung west coast, didn’t know that and simply swung how he wanted. He acquired the nickname “Gavvy” around the turn of the century. One time, so the tale goes, his swing turned lethal. He smashed a liner that dropped a seagull dead. Mexican fans screamed “gaviota!,” Spanish for “seagull.” Teammates liked it. They thought it was funny. “Gaviota.” Yep, Cliff, that’s what you killed. The name stuck, shortened to “Gavvy,” the bird killer. Later, people called him “Cactus” or “Cactus Gavvy,” a moniker fit for a pistol-packing, hot-tempered cartoon character, but which in reality honored Cravath’s western heritage and made comment on his sometimes prickly personality. Word got around that Gavvy could handle a bat. The Los Angeles Angels signed him to a deal, and the money paid off. The Angels won four Pacific Coast League pennants over the next five years, thanks in large part to the hard hitting of Cactus Gavvy. Did Gavvy dare to dream about a life in the majors? What did he even know about big league ball? Baseball at its best was a long haul away. The closest team to California was the St. Louis Cardinals, nearly 2,000 miles from southern California. Was that too far? It was the Boston Red Sox, though, a team based 3,000 miles from Cravath’s hometown, that finally signed the minor-league slugger. The Cactus was 27 years old. Over the next few seasons, Gavvy regained his reputation as a power hitter, albeit as a minor leaguer. This time, he crunched baseballs in the upper Midwest for the Minneapolis Millers. Gavvy smashed home runs and windows in record numbers. Nicollet Park near downtown Minneapolis had a short porch in right field, just 279 feet from home plate. The right-handed batting Cactus took a look at that and learned how to lift flyballs the opposite way. He hit 14 home runs in 1910 and set an organized baseball record in 1911 with 29, to go with a .363 batting average. And, the Cactus didn’t hit a bunch of cheapies, either. He ripped some completely out of the yard. Once, he broke the same window on Nicollet Avenue three times in one week. In 1912, the Philadelphia Phillies paid $9,000 for the services of Cactus Gavvy. What, they must have asked, can this guy do while playing half his games at the Baker Bowl, a park similar to Nicollet. The right-field wall at the Bowl stood 280 feet home plate. It was a nice target for Gavvy. He was 31 years old. Quickly, the San Diego guy turned into a star. He led the National League in home runs six of the next eight seasons. His first big year was 1913, his second year in Philadelphia. He clubbed a league-leading 19 home runs and set a major league record with 128 RBI. He also finished atop the leader board in slugging percentage (.568), OPS (.974), OPS+ (172), total bases (298) and hits (179). He ended up second in batting average (.341), nine points behind Charles “Babe” Adams of the Pittsburgh Pirates. Cactus still only wound up as runner-up in the MVP voting to Brooklyn’s Jake Daubert, who didn’t have nearly as good a year. He followed up that season with another league-leading 19-homer season in 1914. The next year, he set the 20th-century record with 24 (the most since the Washington Senators’ Buck Freeman knocked 25 in 1899) and led his team to its first pennant. After finishing second in home runs in 1916 (11 home runs, good for second in the league), Cactus came back and led the league with 12 in 1917, eight in 1918 and 12 in 1919. He retired at age 39 after getting off to a slow start in 1920. Cactus left the game with 119 career home runs, No. 4 on the all-time list at the time. He was the first player to capture more than five home run titles. Over his career, he batted .287 with a commendable .380 on-base percentage due to his good eye at the plate. Cravath only played 11 seasons, in part because he grew up so far from the heart of big league action. … Would he have signed a major league deal at a much younger age had he hailed from Pennsylvania or Ohio? But, would he have been the same type of player? He hit most of his home runs at home; the most he hit on the road in one season was five. That might be one reason this early baseball slugger is not in the Hall of Fame. Shouldn’t he get some credit, though, for taking advantage of the short porch available to him at the Baker Bowl? And, the dimensions were the same for everyone. It was Cactus Gavvy, though, who lead the league in home runs all those years, not any of his teammates. Gavvy did some coaching after his playing days. He spent much of his time amid the lovely weather of seaside Laguna Beach. There, he also was elected a judge. Gavvy Cravath died May 23, 1963, at the age of 82. Spoken just like the Babe.